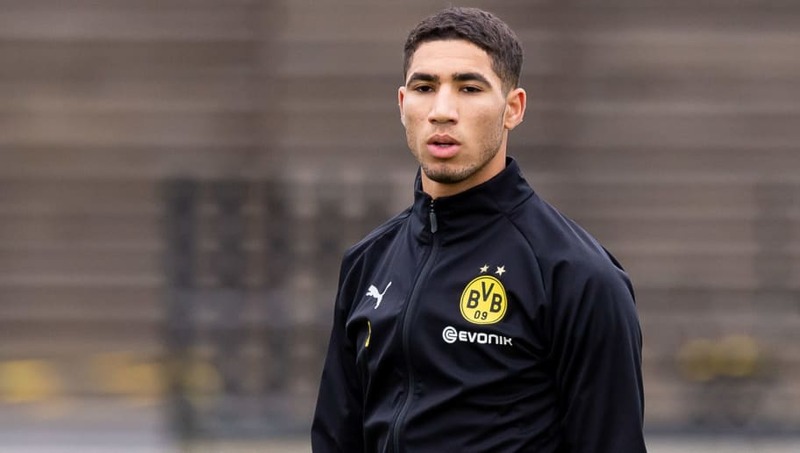 Borussia Dortmund full back Achraf Hakimi already feels at home at the Westfalenstadion and he hasn't given any thought to returning to parent club Real Madrid next season, according to the player's agent, Alejandro Camano. The Morocco international has been a sensation in the Bundesliga this season, scoring one goal and claiming three assists in just eight appearances. Hakimi also registered three assists against Atlético Madrid earlier in the Champions League group stages. He can fill in on either flank, although most recently Hakimi appears to have settled on the left-hand side, helping to plug the gap which was left following Marcel Schmelzer's ankle injury. Hakimi's agent Camano confirmed that the 20-year-old has already settled at Borussia Dortmund, adding that they haven't had any contact with Real Madrid since his loan move went through. "Borussia Dortmund is an amazing club and already feels like home for Achraf," Camano told Goal and SPOX. "He feels really comfortable and is enjoying his time. "We will see what the future brings. We don't think about Real Madrid. The deal between the clubs did not change and there were no talks with Real since he left them. "We are thankful to Dortmund for the chance that Achraf can play at the highest level in an amazing league like the Bundesliga. Only that counts." Hakimi was one of seven first team players to join the club during the summer transfer window, joining former rival Paco Alcácer on a season-long loan deal. While Alcácer's switch from Barcelona included the option to make the move permanent - something which has already been activated - there was no such agreement between Borussia Dortmund and Real Madrid for the full back's services. The Black and Yellows do want to bring Hakimi to North Rhine-Westphalia on a full-time basis. However, Real Madrid will demand a big transfer fee from Dortmund, especially as the defender's stock continues to rise every week.